보고타의 편리한 곳에 위치한 Hotel Dann Norte Bogota에서 여행을 시작하세요. 이곳에서 생생한 도시의 모든것을 쉽게 즐기실 수 있습니다. 호텔에서 가깝워 쉽게 갈 수 있는 무세오 엘 치코, 아틀란티스 플라자, 콜리세오 쿠비에르토 엘 캠핀 같은 명소와 수많은 관광지가 있습니다. 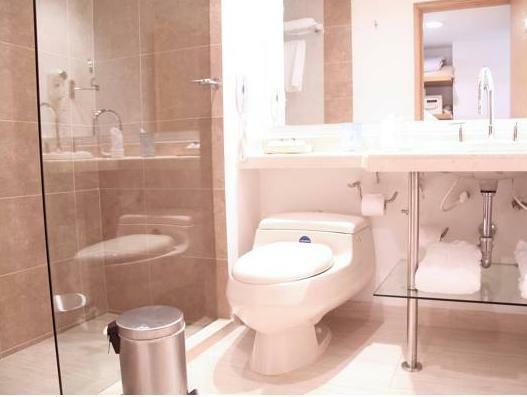 Hotel Dann Norte Bogota 숙박시설은 고객님께서 최상의 서비스와 다양항 생활 편의시설을 제공하며, 가능한한 편안하게 머무실 수 있도록 열성적으로 고객님을 모시고 있습니다. 24시간 프런트 데스크, 장애인용 편의시설, 룸 서비스, 공항 셔틀 서비스, 회의시설 등 적지 않은 시설들이 있는 Hotel Dann Norte Bogota 숙박시설은 도심에 있는 다른 호텔들과 비교하여 현저하게 독특합니다. 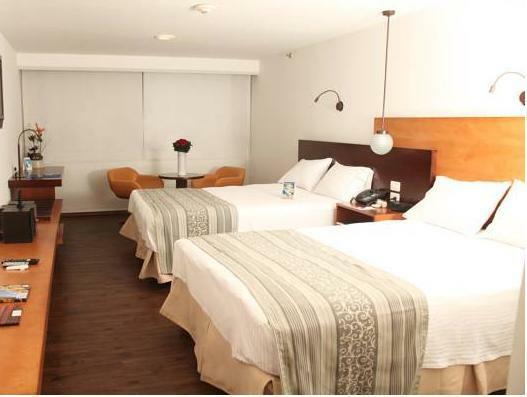 Hotel Dann Norte Bogota 고유의 분위기가 모든 객실에 반영되어 있습니다. 또한, 에어컨, 모닝콜 서비스, 책상, 미니 바, 알람시계 등이 대부분의 객실 내에 구비가 되어 있습니다. 헬스장, 사우나, 스팀룸의 시설과 함께 편안한 분위기에서 하루를 보내실 수 있습니다. 보고타에서 당신이 편안하고 편리한 숙소를 찾으신다면, Hotel Dann Norte Bogota 숙박 시설이 집처럼 편안한 공간을 만들어줄 것 입니다. Food, environment, courtesy of employees. It was acceptable but nothing special. Lobby is old like the rooms. Close to the street so it could be noisy. The food at the restaurant for breakfast was not so good and lack of variety. Would I return ? Probably not. 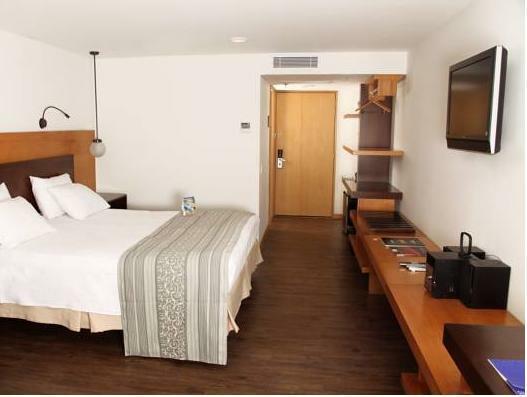 There is a new hotel in the area, (NH Parque). It should be a great value and alose well located. The North between 70 and 100 is the place to stay. The service again was acceptable but nothing special. And at the end of my stay they asked me to pay a special tax that has never been mentioned upon my reservation. Overall I would say it is a 3 out of 5 at best and its price is more for a 4 stars hotel. 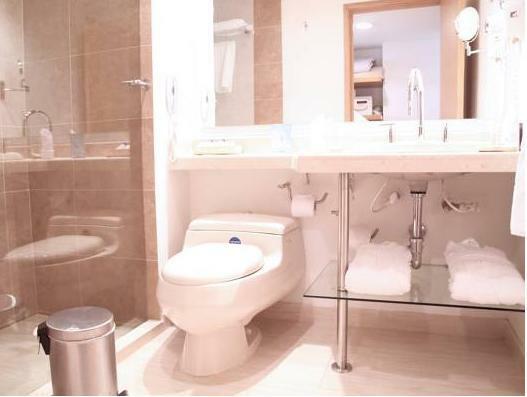 This hotel was very clean and orderly. I have never seen that prompt of a service from any other hotel I have been in. I was very please with everything. From cleaning the rooms to laundry service, everything was efficient and fast. I was very pleased and happy with my stay at the Dann Norte. The staff were all very courteous and friendly eager to answer any questions and concerns about anything. The floors were always kept clean, the rooms were clean and comfortable, the dinning room was well stocked and the waiters and waitresses kind and courteous. 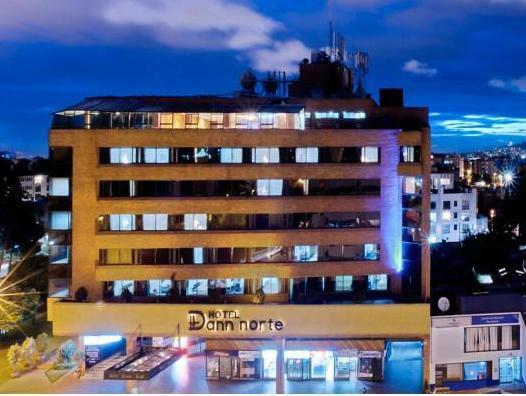 I recommend to anyone, and I will, that they consider booking with the Dann Norte for their stay in Bogota. Relativa comodidad delasinstalaciones, aunque lashabitaciones carecen de aire acondicionado. Fue una estancia desagradable y caracterizad por el engaño y el menosprecio por las necesidades del cliente y las pomesas a él fomuladas. No queda intención de volver a ese hotel, y menos aun reservando por vía de la Internet, porque con ello su personal tiende a diluír sus propias responsabilidades y a transferirlas al agente. Servicio poco pofesional. No hay filosofía de atención al cliente. Deficiente capacitación del personal de recepción y gerencia. El hotel cuenta con instalaciones aceptables, pero suprsonal esincapaz de enfrentar ituaciones apenas extraordinrias. Su inclinación hacia el servicio del cliente es nula:aprenden procedimientos rigidos y elemntalesy son incapaces dereflexionar cuando lascircunstncias se apartan apnas un ápice de lo previsto.